Finally, a compact AA high torque movement that’s a continuous sweep. It’s quiet, it can operate one of our 10” second hands and up to 17-3/4” hour and minute hands. Great for applications where silence is important, or a large continuous sweep second hand is needed like on a swimming pace clock. 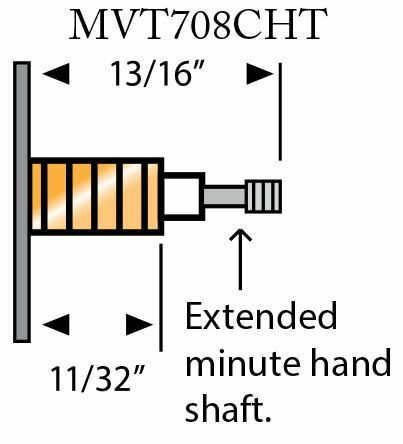 It also has our extended minute hand shaft feature to make aligning large hands much easier.